The IWC booth at this year's SIHH honours the legacy of the iconic British fighter plane, the Spitfire, which they celebrated by introducing a new aviation-themed Top Gun line. Designed to resemble the hangars that historically housed Spitfire aircrafts, the IWC booth features and original restored Spitfire that will travel the world and visit 26 countries over the next 12 months. A collection of special edition 'Le Petit Prince' timepieces were also on show. Taking inspiration from sweets, Richard Mille unveiled its colourful and quirky Bonbon Collection—and decorated the booth to suit, with oversized candies ranging from marshmallows to liquorice. This is the last year Richard Mille is exhibiting at SIHH, and it was a bittersweet farewell indeed. 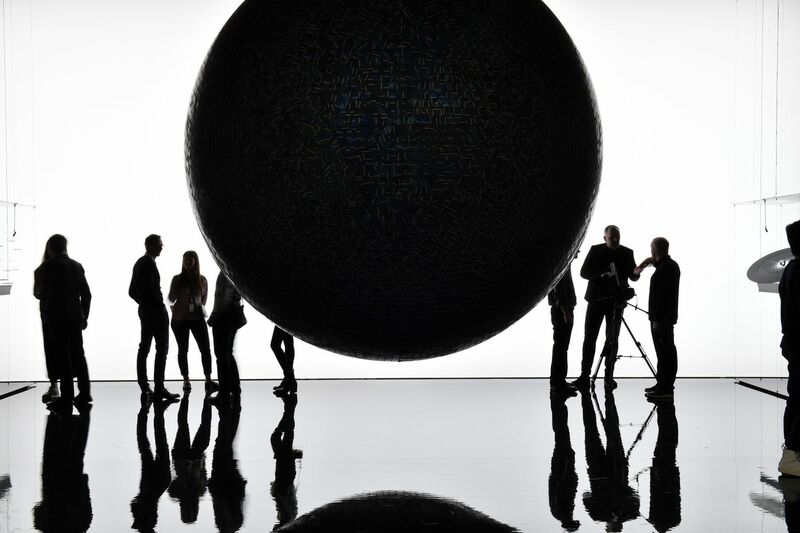 Taking centerstage at Hermès is a rotating moon spanning 3.5m in diameter. The installation was designed by a Japanese artist Hideki Yoshimoto, and is made from recycled materials—namely 20,000 recycled solar panels that will be recycled again once it is deconstructed after the fair. The solar panels represent the many people on earth, and is designed to send a message promoting sustainability. Roger Dubuis's standout timepiece for 2019, the Excalibur Huracán Performante, was made in collaboration with Lamborghini’s Squadra Corse motorsport department. It boasts racing design codes and evokes the look and feel of a Lamborghini Huracán supercar’s V10 engine. This timepiece is limited to 88 pieces and features a strut-bar designed bridge. Each year, Piaget takes to SIHH to showcase its expertise in gold. The brand’s booth was therefore inspired by the precious metal, namely sand complemented by a water feature and floral arrangements. In the centre, a bar hosted watchmakers and aficionados—providing a variety of freshly squeezed juice and of course some vino—as they perused the brand's latest collections.